They say there’s no place like home, and as a San Diego dweller, I couldn’t agree more. Unless of course, you’re talking about going to Madrid, then I might have to make an exception. Add a stay at a Four Seasons hotel, and I’m there. Luckily, Four Seasons is opening a Madrid property within the next four years, its first-ever in Spain. The new hotel will set up residence in a series of heritage buildings that make up the Canalejas complex, located walking distance to city center and popular landmarks. “As Four Seasons continues its expansion into the world’s most desirable destinations, Madrid has long been on our wish list,” says Scott Woroch, Executive Vice President Worldwide Development for Four Seasons Hotels and Resorts. "With a proven track record of development success, operational excellence, and a strong capital base, the team of Grupo Villar Mir, Grupo OHL and Four Seasons is uniquely placed to create a spectacular property in Madrid. The confluence of strong partners with these grand buildings is without a doubt one of the finest opportunities for both Madrid and Four Seasons to attract international guests and provide them with an authentic experience." Careful to preserve the historic buildings and conserve Spanish history, the new hotel will be comprised of past and present renovations with luxury elements typical of the Four Seasons brand. Within the multi-use complex, Four Seasons Hotel Madrid will feature 215 guestrooms as well as high-end residences. If you're still unsure of your excitement for this development, maybe your own exclusive shopping center at the hotel will do it. Because, let’s be serious, it’s all about the shopping during a European excursion. Its location will also provide easy access to Puerta del Sol and is only blocks away from delicious dining destinations. Bring on the tapas and sangria! 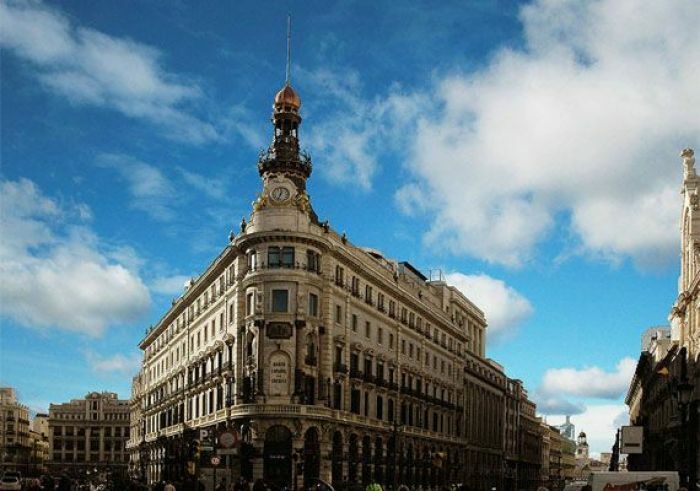 While the Madrid property might be a first for Four Seasons, the use of historic buildings has long been a tradition. Their collection ranges from buildings from the 15th to the early 20th centuries in cities such as Florence, Budapest, Istanbul, Milan, Paris and St. Petersburg. Construction is projected to begin at the end of 2013 and details are still limited. Maybe if we click our heels three times we can speed up the process and arrive at 2017, otherwise, let’s all enjoy a little siesta while we wait.